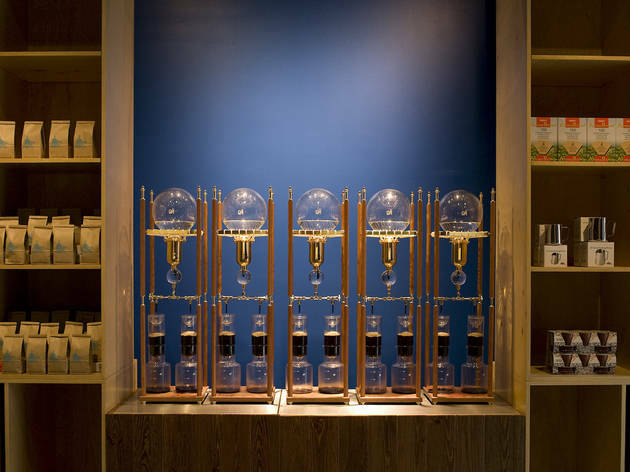 Before this Williamsburg coffee bar and roastery came along, the only place in New York where you could find San Francisco’s famed Blue Bottle Coffee was at Gramercy Tavern. 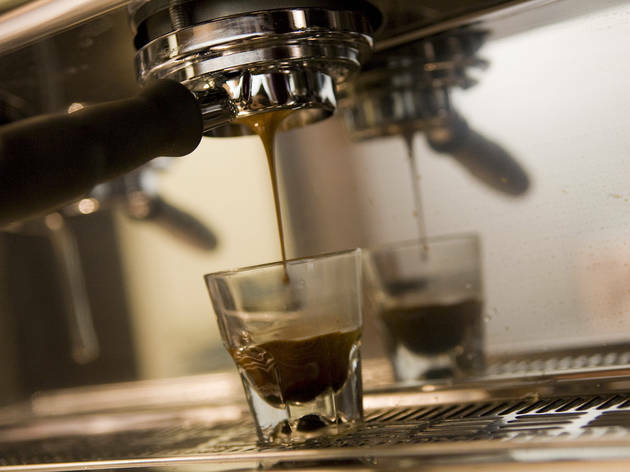 Now caffeine fanatics can sample the company’s shots of espresso and cups of joe—made to order from freshly roasted, mostly organic beans—without dropping a wad of cash on a dinner. 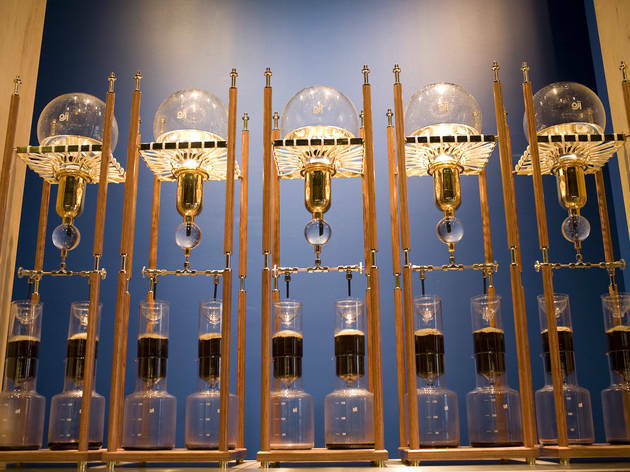 Iced-coffee fans in particular should take note: Five contraptions from Japan will slowly cold-drip Kyoto-style brew, while those who like to add milk should consider the stronger New Orleans-style preparation, fortified with chicory. Took a chance and ordered a flat white from Blue Bottle and was very impressed! The service was a nice surprise also, really friendly, personable baristas. I'll be back! If Blue Bottle were a little cheaper, I would give this place 5 stars, but for the most part it's worth the money. 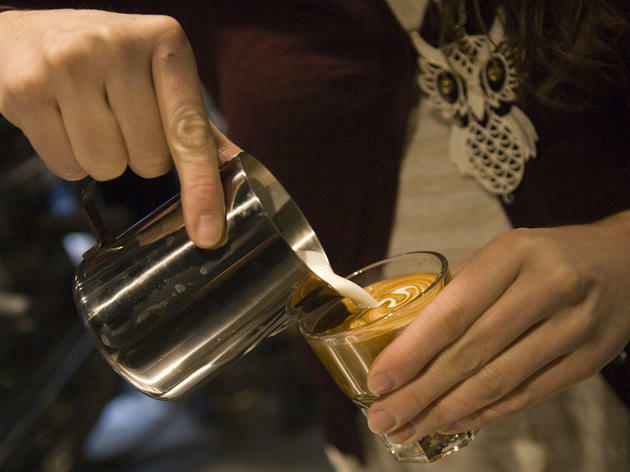 You're always getting a really good, flavorful cup of coffee. You never have to worry about whether or not the Starbucks barista poured the wrong roast or taking a 50/50 chance at Dunkin. Blue Bottle knows what they're doing. Get the New Orleans coffee too. It has depth and sweetness without flavored with fake syrups and you probably won't have anything like it unless you head South. I’ve had multiple great coffees from these guys and they never disappoint. I’ve been to two of their branches in Cobble Hill and Williamsburg, but I think they have other stores as well. The Cobble Hill store is tiny, but if you can nab a spot at the four seater bar it’s great to sit and people watch or read a book. With limited food offerings, it’s all about the coffee here. Being Australian, I’m very particular about my flat whites and I really enjoy theirs – the milk is smooth with the right amount of micro foam and the coffee flavor is strong but balanced. I do find the price quite high coming in just under $5 for a flat white (without tip), so this is not somewhere I can come every day of the week unfortunately! Despite there being a gazillion amazing cafes in New York City, I still rank Blue Bottle as one of the best places to get coffee. They are just so on point. 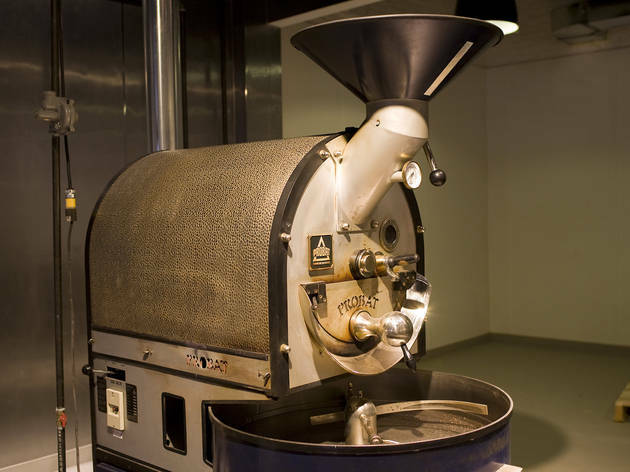 In Williamsburg, the cafe and roaster sits in one huge space, and customers can view the factory space and watch employees work in back. There is usually always a line, but it goes fast. 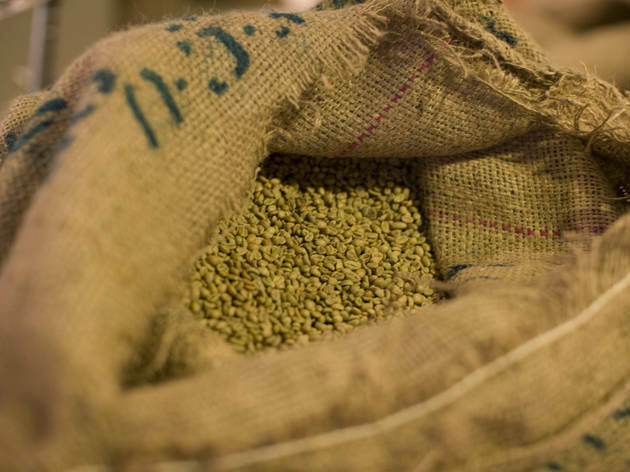 Order a pastry, buy a bag of beans (the aroma is intoxicating, and you'll thank yourself when you wake up in the morning to make coffee—my favorite is the Ethiopian blend. It tastes like blueberries) and order whatever kind of coffee. It will be a delicious. My go-to is a cappuccino. If you order an espresso, then you are given a shot of seltzer to cleanse your palate afterward. 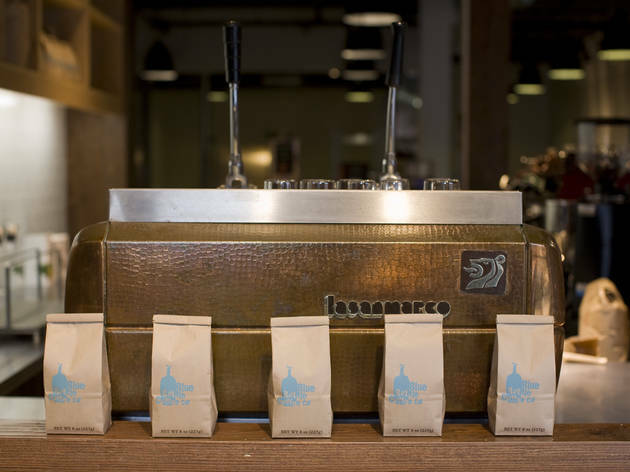 San Francisco export Blue Bottle Coffee is worth the visit for both coffee fiends and people who just like a great cup of joe. The storefront is tiny, but you can also grab a spot out front to savor your cup of organic coffee. The standout is the New Orleans-style coffee, which is super smooth and laced with spicy chicory, but there’s also Japanese style cold brew, a chilly, strong summer drink, or espresso or straightforward cups of coffee. There are also some pastries available for morning refueling, and friendly staff can help you choose the right style of coffee. 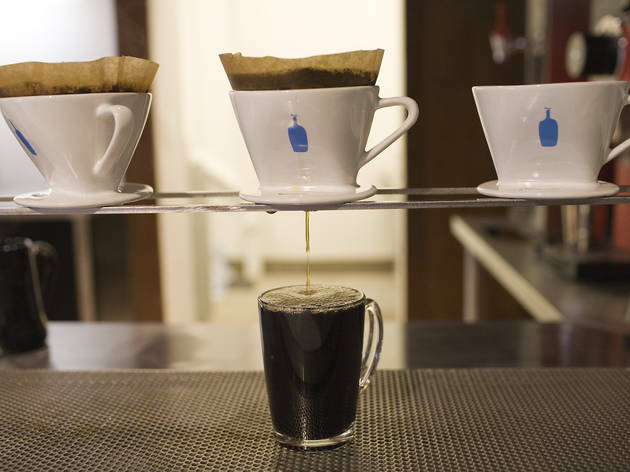 Everyone seems to love Blue Bottle – and with good reason. This coffee is smooth and flavorful. The coffee has such a good natural taste, that it doesn’t need much sugar (coming from someone who uses quite a bit). Hot or iced, everything here is good. The food isn’t anything special, so I wouldn’t bother with that. The Williamsburg location is large, but it’s also busy. There are roasting tanks in the back of the location that you can inspect at while waiting in line – there will be a line. It’s a little hectic in the waiting/sugaring area. Might not be a great place to go if you have a stroller or kids to keep track of – although there is a nice bench outside where people often wait for their parties. Seriously the best coffee in the city. We buy the Hayes Valley beans for home. Love getting a cappuccino there when we aren't making our own. Never disappointed. Friendly staff. Always a solid choice.